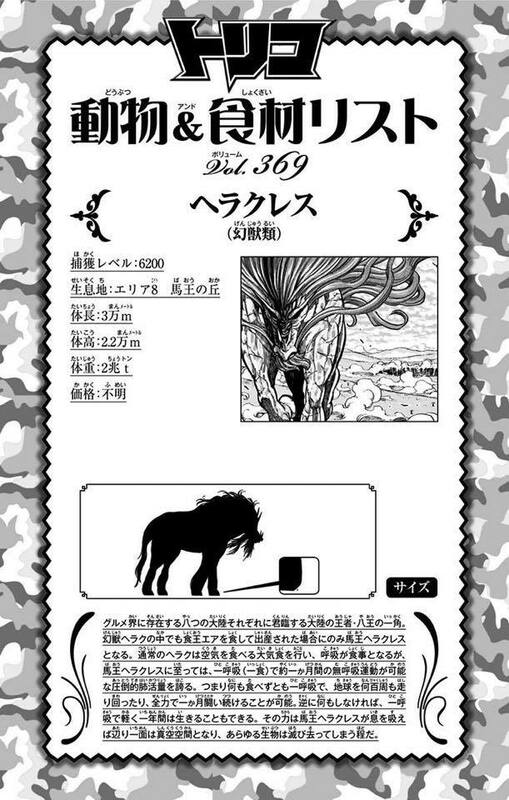 Heracles (ヘラクレス Herakuresu), also known by the title of "Horse Monarch" (馬王 Baō),"Continent's Monarch" (大陸の王者 Tairiku no Ōja), and "Nightmare", is the most powerful Phantom Beast Herac and the ruler of Area 8. Heracles' power and absolute lordship over one of the major continents of Gourmet World make Heracles one of the mighty Eight Kings, the eight most powerful beasts in the world. 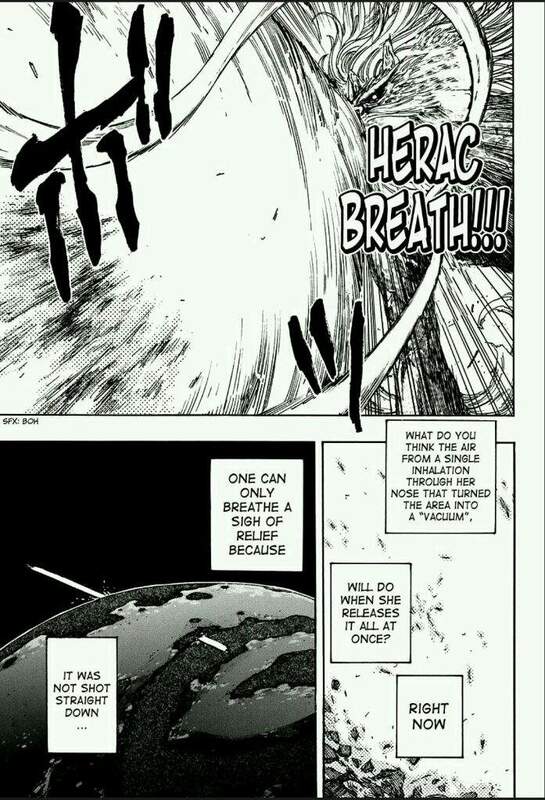 Destroy Breath: Heracles inhales an intense amount of air within the specified area where she resides, creating a vacuum which completely deprives the area of air. Any living creature or plant within the area which the technique was used in that require air begin to wither and eventually die due to the lack of oxygen in order to keep alive. Herac Breath: After inhaling all the air within the area with Destroy Breath, Heracles exhales it from her mouth with extreme force. The torrent of pressurized air created destroys any creatures in its path and, if fired downwards, bores through the Earth and out the other side where it escapes the planet into space. Herac Kick: Heracles swings her rear leg and hits her opponents with her hoof. This kick is powerful enough, that upon collision with an attack of equal power, the shock is visible from outer space. Toriko's Blue Appetite Demon claims that if the kick had struck him, it would've been strong enough to launch him into space.